The edgy pop star gave fans a ‘taste’ of what she’s working on. Madonna teased the release of brand new music with a disturbing image that had fans scratching their heads. Click through the gallery for all the info. The 60-year-old tweeted a photo of her hands cutting an apple with a large knife. On one hand, she wore a shiny red latex glove that reminded fans of blood. On the other hand, she wore diamond rings, including one in the shape of an M.
“A Taste of things to come...............🍎🔪 ♥️. #music #magic,” she wrote in the caption. In the replies, fans speculated that she was hinting at a new single or even a new album. Could her new music continue those unsettling themes? Fans will have to wait and see. 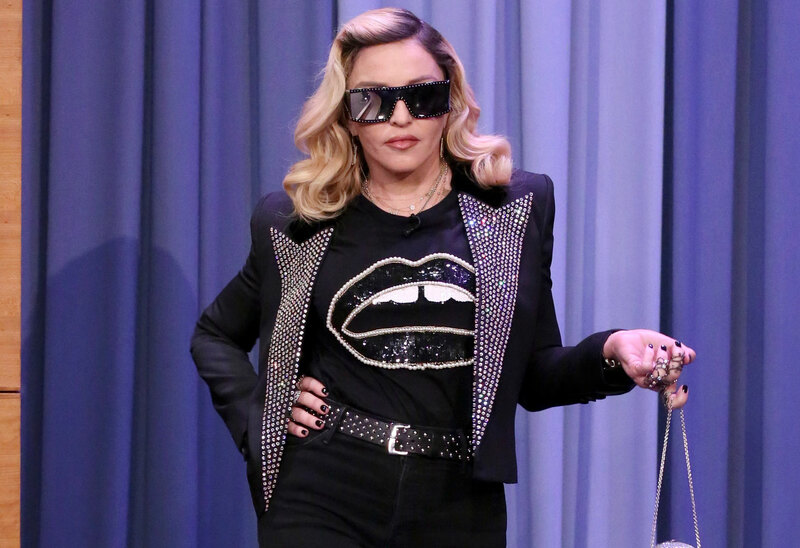 Will you check out Madonna’s new music? Sound off in the comments!